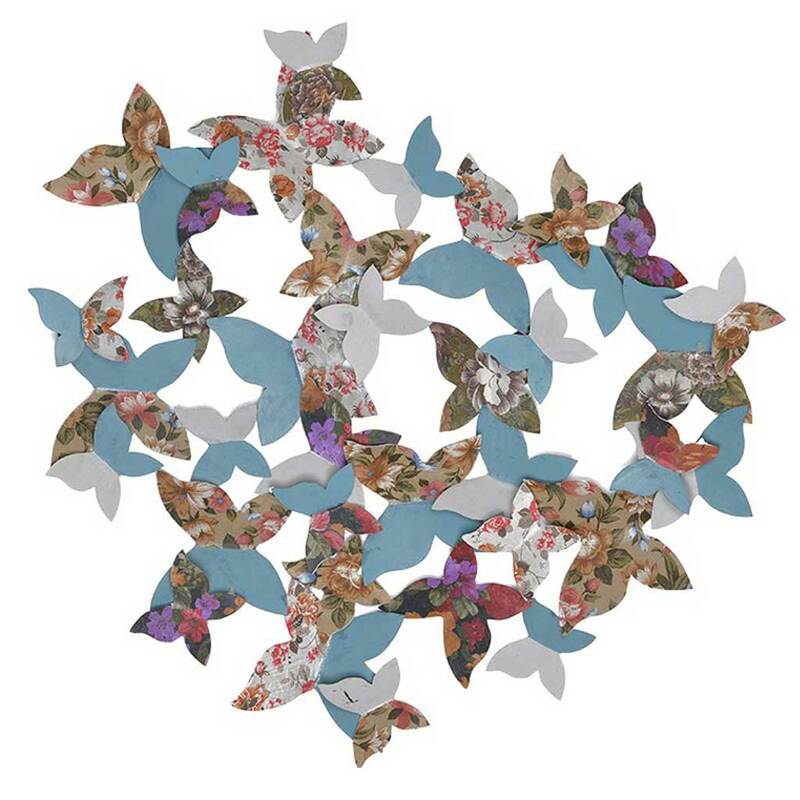 A mass of beautiful butterflies in various positions and colours, some in floral designs. You can almost see them ‘fluttering’ their wings! A very attractive center piece wall art. Love it!